Unionized flight attendants — and flight attendants at airlines whose procedures mirror union work rules — get to work the most desirable trips based on seniority. 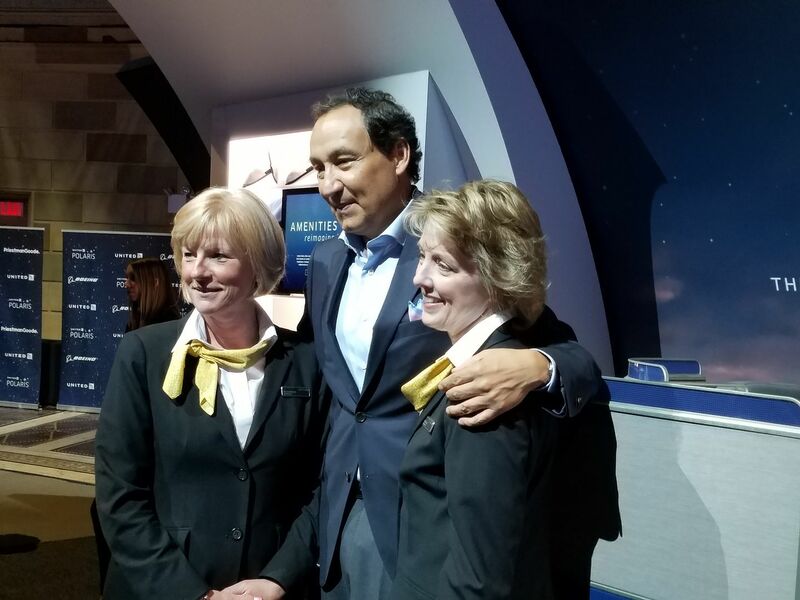 Senior flight attendants at large international airlines can jet away to Sydney, to Buenos Aires, to Paris while more junior flight attendants overnight in Des Moines. Those longer trips aren’t just more exotic. They pay more (more hours) in a short amount of time, have longer layovers, and may entail staying at better hotels. Last year I wrote about the secondary market some American Airlines flight attendants created renting out their seniority. They sell prime trip assignments to junior flight attendants, reportedly on average for $200 per trip. Flight attendants who bid for a trip and are assigned that trip have a property right in the trip. But they’re not supposed to use their seniority to gain desirable trips and then sell those trips, they’re supposed to fly the trips themselves and trade only when scheduling presents a problem. In other words they only get a partial property right and there’s not supposed to be a secondary market. Over the past few months, we have been aware that many of you have voiced concerns about illicit trip brokering where certain individuals have been improperly “parking” and holding trips for their personal gain. We’ve heard your frustration and recognize how many of you have exercised restraint in reporting this egregious activity to management because we are unionists. United is threatening to discharge flight attendants to bid for trips that they sell or barter instead of working themselves. The airline is giving something of value based on seniority to one group of workers, that’s valued more by others. Naturally a secondary market develops, and both parties benefit from the exchange. Problems here stem from inefficiently allocating what employees want most based on seniority, and then cowing to the envy of less senior flight attendants. United and its union are fighting the symptom of a broken duty assignment system that gives trips to flight attendants who don’t want to work them simply because they’ve been at the airline longer, and assigns trips to flight attendants less well-suited to the customer service roles as well. 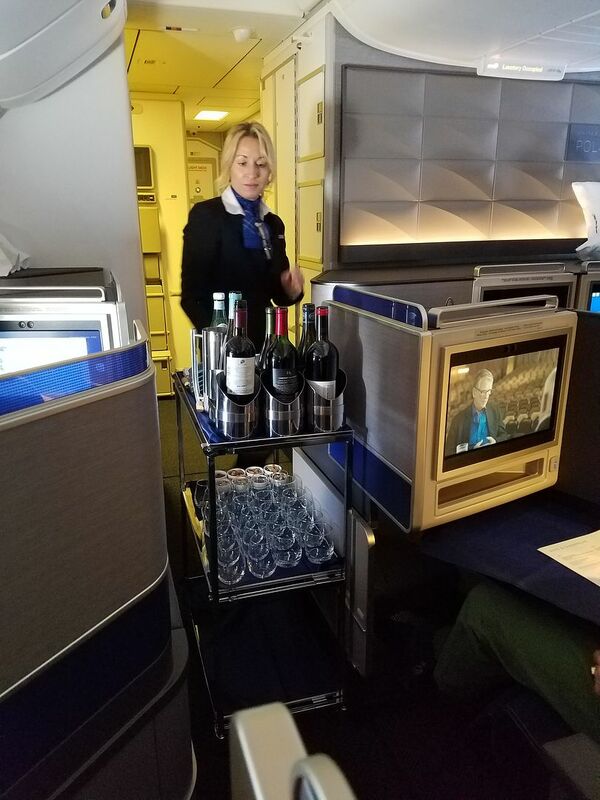 From a customer service standpoint I prefer more junior – less jaundiced – crew working the ‘best’ flights and indeed working long haul business class. Assigning customer service duties to an airline’s most profitable customers based primarily on being around the longest makes little sense for a business. It was United, though, the pioneered turning over scheduling decisions to the union. Pat Patterson who was President of the airline from 1934 until 1966 believed that unions were closer to the workers than management and could better understand their needs. Flight Attendants almost have their own economy. The trip trading/selling scenario goes both ways. When they are assigned undesirable trips or trips on holidays that they didn’t plan to work, they often can’t find anyone to pick up the trip unless they offer a cash payout with it. I have a relative (29 years with AA) who pays to get rid of trips when she can’t find someone to take them, and accepts cash payouts when she picks up trips nobody wants. Excited to see all the anti-union comments from Trumpublicans who believe in strict accountability at the bottom of the economic food chain and none at the top. I think there’s a place for unions but also something to be said for performance evaluations. Shock! FAs’ priority isn’t passenger safety after all. The most inexperienced should get the best trips, the longer one stays he or she should get the least desireable trips. There should be a mandator retirement age for flight attendants and that should be 45. If they’re doing that, isn’t that also classified as selling yourself short for $ gUaP $? So it’s ok for people to sell employee benefits? Employee discounts at a restaurant or hotel? Military discount? Selling buddy passes? Maybe police only access to an area? It’s pretty simple: either it’s allowed or it’s not. If not, explain the policy clearly. If the rule is violated, warn the people once. If they repeat, fire them. “We’ve heard your frustration and recognize how many of you have exercised restraint in reporting this egregious activity to management because we are unionists.” – Another example of the problem with unions. The interest of the union apparently is more important than what is best for the airline as a whole and certainly what is best for the customers. The deliberate refusing to report violations of rules out of loyalty to a union is disgusting. Jean delisi, I suppose you would support mandatory retirement at 45 for your line of work as well. It’s ridiculous to assert that flight attendants need to be young. Are they competent enough to do the job, that’s all that is required. Thank You Ken you saved me responding to that IGNORANT comment ….the flexibility of the flight attendant career is all we have left maybe UA should think about staffing their flights correctly and ensuring passengers are taken care of first . :..the morale among crew is the worst ive seem in 30 years and management could care less. These are terrible ideas. Giving the best routes to the least polished, least experienced and least capable FA’s doesn’t seem super smart. Regarding the forced retirement at 45, FA’s would have a continually downward spiral of worse and worse assignments. This would lead any normal human to feel increasingly unhappy and resentful. The people they interact with the most are passengers, so passengers would continually get the brunt of the bad mood from the FA’s getting hosed. Then there’s the lack of being able to build up your pension over your decades of work because of forced retirement, forcing your workforce to find a new career at 45. Or just pay them full retirement at 45. What could go wrong? Wait! Why stop there? Why not force gate agents to retire as well at 45? Also, let’s not forget the mechanics. Why not fire someone just as they’re reaching the apex of their knowledge and experience? And let’s not forget the pilots. After all, you want the reflexes of youth, so include the pilots in the mandatory retirement at 45. Or we can just conclude that forcing retirement at 45 is a really, really dumb idea. Who is going to hire a 45 yr old FA. Young and polished. Bwhahahahaha!! Maybe..just maybe they will refill your precious cocktail after they finish Facebooking their friends trashing you. But wait, they have to text their friends first and listen to the latest hot song on their iPhone. It’s part of the job, like it or not, and it’s not limited to flight attendants, as CSAs and even Res Agents can and do trade their shifts or pick up from others. At my carrier, there’s a hard cap where agents may only trade a maximum of 50% of their scheduled hours per month. We also have a firm “no discussion of cash, terms, or any other incentives” in exchange for trades, as we once had someone who picked up trades religiously for cash on top of the hours and when getting a divorce, his wife nailed him in court for all the unreported income from cash trades he’d been getting. His co-workers were NOT pleased when he came to work with stacks of 1099s and affidavits for those who traded with him to fill out and sign. Those who violate the policy – that we know of – have their trades suspended and are issued progressive discipline. Having said that, most of the trades are done via text messages or on private Facebook groups, so the company can’t see them. We only learn of them when a trade goes sideways and a disgruntled party narcs on the other.